Without disparaging the incredible progress towards equality we have made as a society, being a trans-person is not easy. This dark, provocative, and honest piece of art by Kansas City musician and performer Mazzy Mann tells you her story. 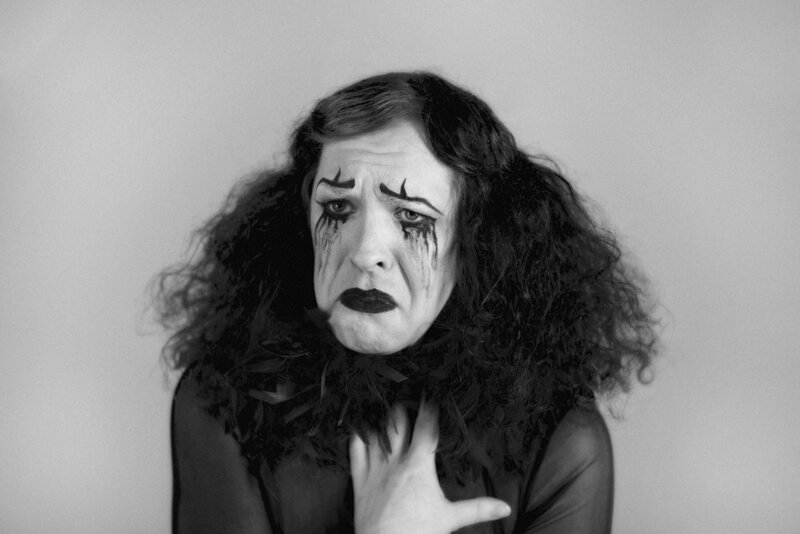 Pagliacci is a dramatic album and we wanted the art direction to convey that. Pulling heavily from the Art Nouveau stylings of the early 20th century, we opted for a black and white look that left no room for misunderstanding.